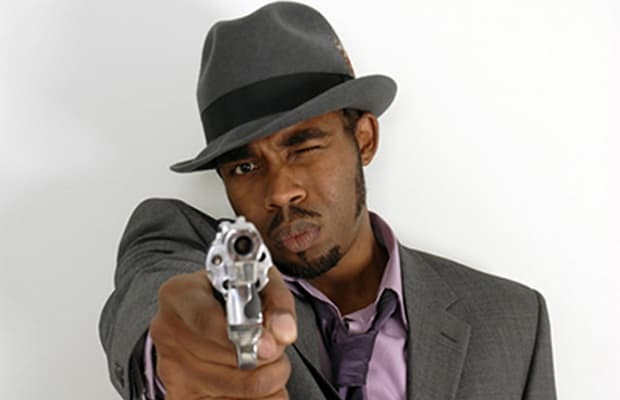 Complex says: On "When The Gun Draws" Pharoahe revisits the concept first explored on “Stray Bullet” as he once again zeros in on the power of the bullet. The song starts off with a chilling sample from a man whose daughter had been the victim of a shooting before Pharoahe plays off of his sentiment, going deep into all of the elements that are connected to that final moment before a life is taken. This perspective is typical of Pharoahe who's always pondering and questioning the issues of today through his lyrics. Here he uses his witty flow to convey the message that it's easy to nonchalantly rap about shooting people, but there's a lot that goes into pulling the trigger. It's food for thought. You do the dishes.